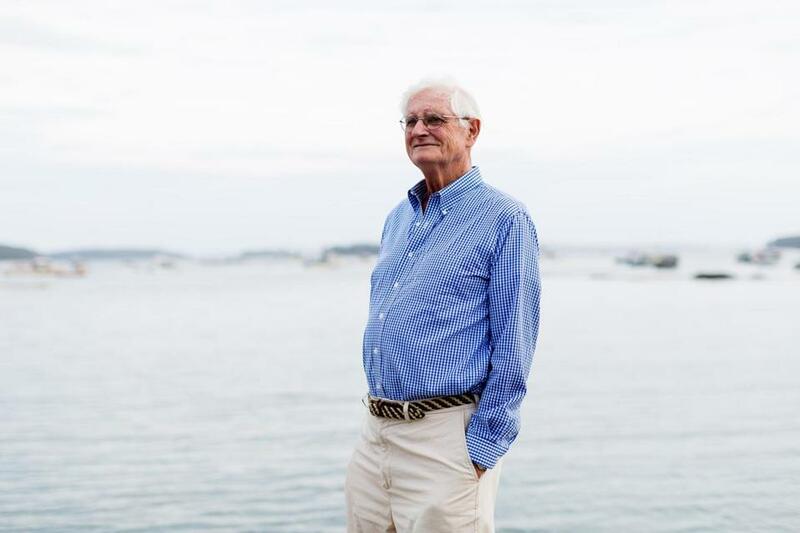 Former Bowdoin president Robert Edwards is convinced banning frats was the right call. When Robert Edwards became president of Bowdoin College in 1990, he had an open mind about fraternities. He had attended Princeton and belonged to Colonial, one of the university’s exclusive eating clubs. But as he built his reputation at the elite liberal arts school in Brunswick, Maine, he began to have his doubts. Edwards ultimately shut down all the fraternities at Bowdoin in 1997. Twenty years later, Harvard University is attempting a similar feat. A Harvard committee has pointed to Bowdoin as a model for eradicating final clubs, fraternities, and sororities from campus social life. Harvard administrators share some of Edwards’s concerns. He did not like the heavy drinking or the way some members seemed to disrupt classes. Although the fraternities were coeducational, some treated women like second-class citizens. Finally something tragic pushed Edwards over the edge: A student from another college died at a Chi Delta Phi party on Bowdoin’s campus. The 20-year-old fell three stories while trying to climb onto the roof. But Bowdoin’s experience should also serve as a caution: Students and alumni say the elimination of fraternities hasn’t wiped out drinking and parties, just driven them off campus. And former fraternity members say the school has lost the deep sense of community the fraternities had cultivated over more than a century. “Fraternities become easy scapegoats to allow administrators to make it look like they’re doing something,” said Thomas Clark, who was a sophomore the year the decision to close the fraternities was revealed. The former Bowdoin president said he is glad his school wrestled with this problem 20 years ago rather than today. Harvard has experienced major resistance not only from the clubs and their alumni but also from civil liberties advocates, who say the school is big-footing into students’ private lives. “The political atmospheres then were less strident than they are now,” Edwards said. There was plenty of objection at Bowdoin, too. The fraternity that most strongly resisted was the oldest of the eight, Alpha Delta Phi, a nerdy club whose members read literature aloud to one another each night before dessert. The fraternity’s members felt at home there. The chapter gave women equal membership status and accepted minorities and LGBT students who felt otherwise out of place at the well-to-do, mostly white college. “It shattered a lot of us because we felt like it was a rejection of our family,” said Clark, who was president of Alpha Delta Phi the year it closed. In those days, Alpha Delta Phi’s two-story brick house on Maine Street had a fireplace always crackling and squishy couches donated by parents. Members quoted “Star Wars” and amused one another with comic-book references. At one point the presidents of both the college Democrats and the Republicans lived in the house. “Which made for great dinner conversations,” Clark said. Similarly at Harvard, not all final clubs are prone to a party culture, and some organizations say they have been unfairly lumped into a category where they do not belong. At the time, Nessa Burns Reifsnyder was the alumni president of the fraternity, and she began organizing. Alpha Delta Phi members worked with alumni who were attorneys and got the house appraised. Bowdoin paid them for it, and the fraternity used part of the proceeds to create a fund that still pays for literary programs at the college. “I wouldn’t say it was easy, but we are determined to stay identified as who we are,” Reifsnyder said in a phone interview. 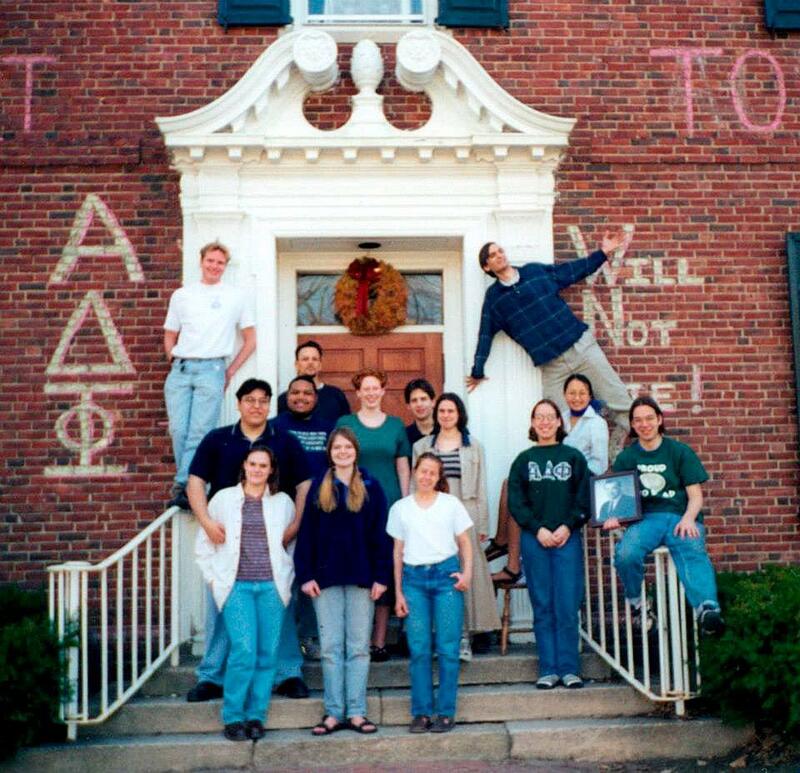 A photo of the Bowdoin Alpha Delta Phi members for the 1998 college yearbook. Thomas Clark is seen standing on the railing on the left. Members still gather twice a year on campus. On New Year’s Eve, they ring in the new year in their former house with their spouses and children. Bowdoin’s decision at the time was part of a trend across New England. Middlebury College banned fraternities in 1990; Colby College and Amherst did so in 1984. Williams College was one of the first, in 1962. Hood said the decision did not hurt fund-raising. The school exceeded its goal for the campaign that happened as the decision was announced. The college’s endowment has soared since then, from $374 million in 1997 to $1.3 billion last year. Bowdoin now owns all of the former fraternity houses except three that have been torn down. One is the admissions office and the rest are part of the college’s house system, the school’s attempt to recreate the community that the fraternities had afforded. The houses are voluntary, and students apply to live in them their sophomore year. The application is complex, and not everyone is admitted. Students eat in a central dining hall, but those who belong to a house are expected to plan social events there. They can organize parties that serve alcohol if they register with the school. Raisa Tolchinsky, who graduated this spring, said she met some of her closest college friends in her house, people she would have otherwise never encountered. The college administration aggressively tries to keep the houses diverse, she said, and forbids hazing. But the new system hasn’t eradicated frat-party behavior, she said; students just take such behavior off-campus, to private parties in apartments. “It was interesting being in a system that was trying so hard to avoid these things, and yet there was still the same tendencies,” she said. Former members said that the elimination of fraternities also meant the loss of some intangibles. One of the biggest losses, they said, was the network of alumni that helped them navigate Bowdoin and the years after. Edwards, the former president, knows that. He knew his decision would have downsides, and he knew some alumni would never forgive him. But he thinks he did the right thing. “I felt that the need of the college was so great that the perspective of the alumni was probably secondary to the realities that we were confronting,” he said. 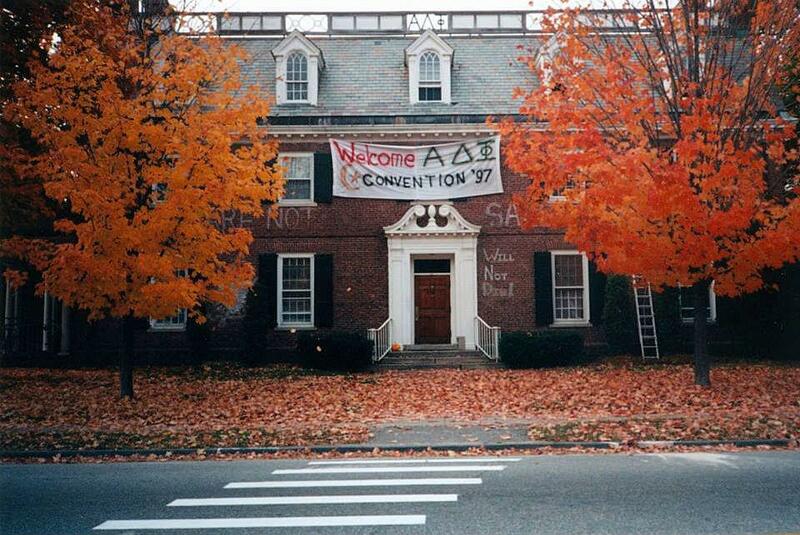 The Alpha Delta Phi house at Bowdoin College in October 1997, when the fraternity hosted a national convention.